Seyi Ashekun is a mother again as she welcomes 2nd child in the UK. The actress who had her first child, a boy in May 2017 delivered a bouncing baby girl yesterday in the UK. 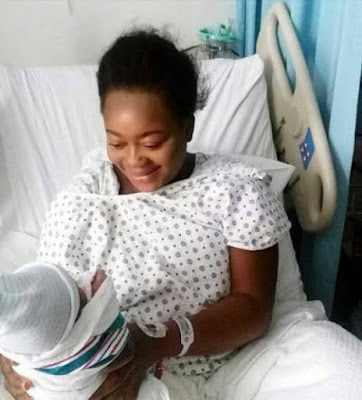 Her colleagues in the industry shared the good news on social media and also send congratulatory messages across to her on the new addition to Ashekun’s family.